We’ve been giggling about Sigma’s huge, 15-kilo 200-500mm lens for years, mostly because the preposterous glass looks like rocket launcher that could be used to take down an airplane. This clever hack from Digital Camera Watch in Japan leverages the humorous resemblance between long lenses weapons to a useful end. 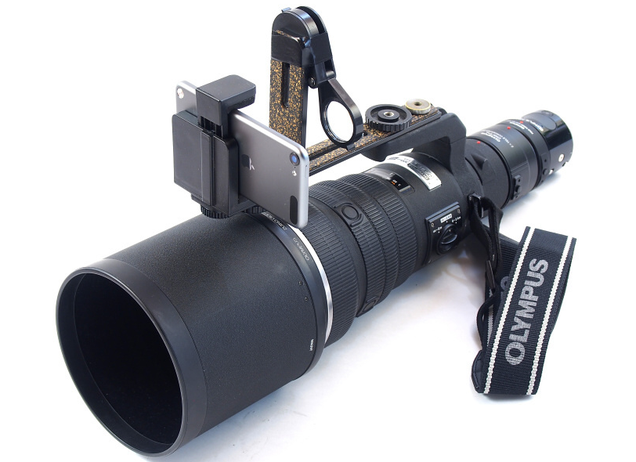 The mod takes Olympus’s weird new Air A01 camera module outfitted with a very long 300mm lens. Rather than throw the rig on a tripod, which is just so boring, DC Watch editors hack together a setup that lets them use it like a rocket launcher. Announced last month, the A01 is a super stripped down camera that’s basically just a 16 megapixel micro four-thirds image sensor plus a MFT lens mount and a Wi-Fi radio. It’s a very similar concept to the more widely known Sony QX1. Both cameras eschew traditional design, ditching display and built-in controls. Instead, the cameras connect wirelessly to your phone where you can view the photo you’re taking and adjust shooting settings. 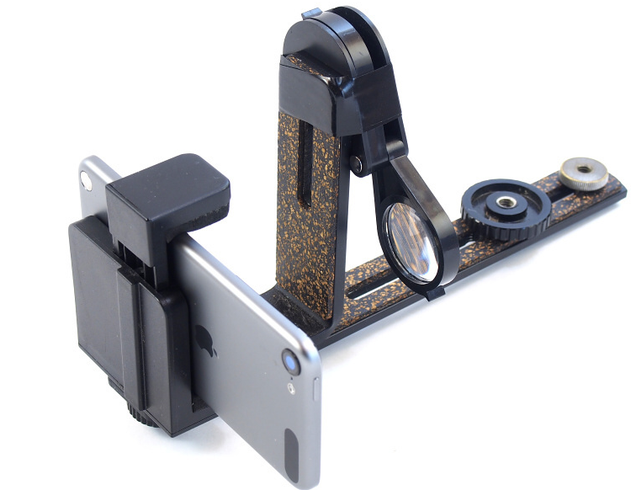 Though most people will probably use the A01 with a small lens, the tiny module lends itself to some ridiculous pairings. Rather than use something reasonable, like a 24mm lens, DC Watch stuck 300mm of glass on there, plus the Olympus EC-20 teleconverter, which doubles that focal length to 600mm. And remember, because this is a micro four-thirds format, that’s actually 1200mm converted to a standard 35mm full-frame sensor size—that’s about 35x magnification.